Commitment and tenacity paid off to the tune of $2,875 Sunday night, but the cold-blooded murder of the monkey on his back was priceless. For the second time in as many nights, “Cool Hand” Lucas Schott wound up second at the finish line. Rodney Sanders earned the FK Rod Ends Hard Charger Award by racing from ninth to third in 25 laps and early race leader Zack VanderBeek held off Dereck Ramirez for fourth. Johnny Scott rebounded to finish sixth while twin brother Stormy Scott followed him in seventh. Cory Crapser, Joe Duvall and Adam Kates completed the top ten. In nine USMTS events held at the North Iowa Fairgrounds half-mile dirt oval, Phillips became the eighth different driver to visit victory lane. Only Ryan Gustin has two wins—both of them coming on the same night last August after an early-season rain-out forced the double-features night. 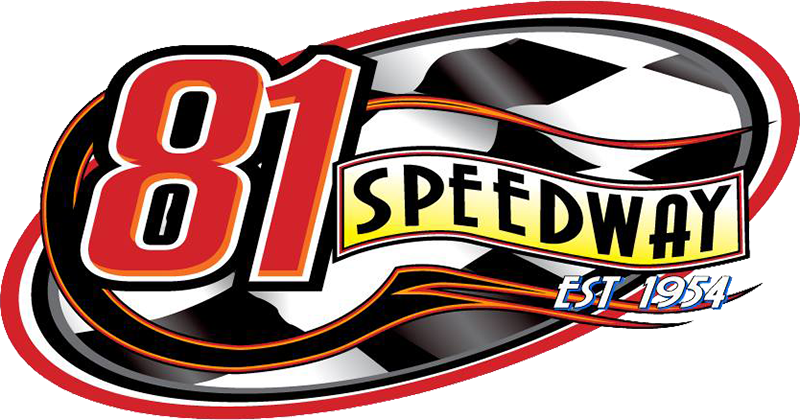 From the track formerly known as the I-35 Speedway, the series heads south on said interstate highway to invade the still-known-as I-35 Speedway in Winston, Mo., this Thursday, Aug. 16. Then on Friday, the Lakeside Speedway in Kansas City, Kan., hosts the 3rd Annual Grant Junghans Memorial with a $10,002 top prize up for grabs. The weekend wraps up Saturday at the Salina Highbanks Speedway in Pryor Creek, Okla. Showing finishing position, starting position in parentheses, car number, driver, hometown, chassis/engine builder, laps completed and money won. All drivers transferred to the Casey’s General Stores “A” Main with the top 8 in heat race passing points redrawing for the first 8 starting spots. 3. (5) 07 Cory Crapser, Chippewa Falls, Wis.
4. (4) 0 Jake O'Neil (R), Tucson, Ariz.
8. (8) 32 D.J. Shannon (R), Merced, Calif.
3. (2) 4r Dereck Ramirez, Woodward, Okla.
6. (7) 91 Joe Duvall, Claremore, Okla.
1. (3) 75 Terry Phillips, Springfield, Mo., GRT/Durham, 25, $2875. 2. (6) 69 Lucas Schott, Chatfield, Minn., MBCustoms/Hill, 25, $1850. 3. (9) 20 Rodney Sanders, Happy, Texas, MBCustoms/Hatfield, 25, $1325. 4. (1) 33z Zack VanderBeek, New Sharon, Iowa, VanderBuilt/Stoen, 25, $1020. 5. (5) 4r Dereck Ramirez, Woodward, Okla., Hughes/Cornett, 25, $915. 6. (4) 1st Johnny Scott, Cameron, Mo., VanderBuilt/Hill, 25, $810. 7. (8) 2s Stormy Scott, Las Cruces, N.M., VanderBuilt/Mullins, 25, $755. 8. (7) 07 Cory Crapser, Chippewa Falls, Wis., MBCustoms/Troy’s, 25, $400. 9. (11) 91 Joe Duvall, Claremore, Okla., MBCustoms/ChevPerf, 25, $675. 10. (10) 23 Adam Kates, Tonganoxie, Kan., LG2/Speedway, 25, $550. 11. (13) 65D Dustin Brown, Thornton, Iowa, Skyrocket/ASI, 25, $225. 12. (14) 8c Chris Clark, Jackson, Wyo., GRT/ChevPerf, 25, $300. 13. (12) 19sb Lance Mari (R), Imperial, Calif., MRT/Yeoman, 16, $275. 14. (2) 0 Jake O'Neil (R), Tucson, Ariz., LG2/Cornett, 3, $545. 15. (15) 32 D.J. Shannon (R), Merced, Calif., LG2/ChevPerf, 0, $250. Eibach Spring Forward Award: Sanders (advanced 8 positions). FK Rod Ends Hard Charger: Sanders (started 6th, finished 2nd). Next Race: Thursday, Aug. 16, I-35 Speedway, Winston, Mo. USMTS Hunt for the Casey’s Cup Points: J. Scott 2590, S. Scott 2401, Sanders 2401, VanderBeek 2327, Schott 2301, O'Neil 2298, Phillips 2256, Ramirez 2240, Kates 1647, Duvall 1614. Grant Junghans USMTS Rookie of the Year Points: O'Neil 2014, Mari 1088, Carlos Ahumada Jr. 760, Zane Ferrell 692, Billy Vogel 610. USMTS Engine Builder of the Year Points: Durham 252, Mullins 208, Cornett 194, Hatfield 193, Sput’s 180. USMTS Manufacturers Championship Points: VanderBuilt 295, MBCustoms 279, GRT 210, Hughes 207, LG2 192. Casey’s General Stores – Brown. E3 Spark Plugs – Sanders. FK Rod Ends – Sanders. Forty9 Designs – O’Neil, Clark. Jerovetz Motorsports Racing Parts – Shannon. Out-Pace Racing Products – J. Scott. Swift Springs – Phillips, Brown.